If you have ever wondered what life in the Maine outdoors is like, you need to read my friend George Smith's book "A Life Lived Outdoors". It is a compilation of stories and articles that he has written over the years, so you don't need to rush through the book to get to the end of the story. This a wonderful book that allows you to read a story and set the book down and think about what you have read. I am currently dreaming about what my future camp should be like and what it will smell and feel like to step outside early on a summer morning with a cup of coffee. I am only a few stories in, but I have found myself smiling and laughing and yearning to get outside. I am keeping this book close so that I can sneak in a few stories when I have some time when Owen is napping or while waiting for a meeting to start. This book is Maine and why we love it so much! 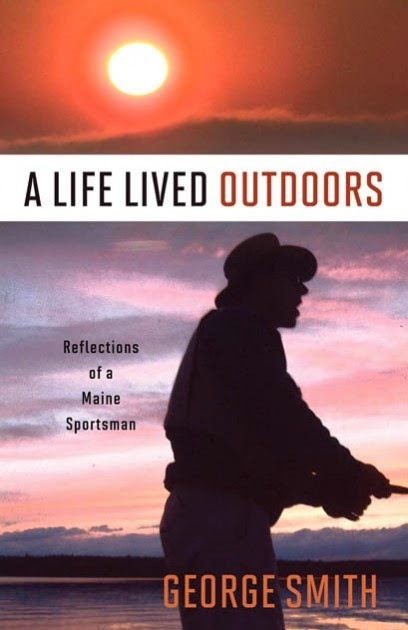 A Life Lived Outdoors George Smith Islandport Press Maine Maine authors Maine outdoors.